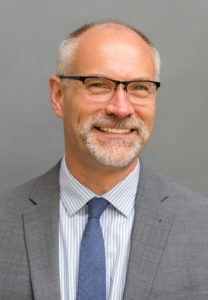 West Conshohocken, PA – Dr. Matthew Walhout, former Dean for Research and Scholarship and professor of physics and astronomy at Calvin College, has joined the John Templeton Foundation as Vice President, Natural Sciences. In this role, Dr. Walhout serves on the Program Leadership Team, working closely with the President to develop strategic alignment across the Foundation’s funding priorities in Science and the Big Questions. The Science and the Big Questions funding area supports innovative efforts to address the deepest questions facing humankind and includes programs in natural sciences, human sciences, philosophy and theology, and public engagement. The natural sciences department funds projects in life sciences, genetics, mathematics, and physical sciences. As Vice President, Dr. Walhout is also developing strategies to identify and support interdisciplinary scientific research, and is working with other co-funders with similar funding goals to explore shared grantmaking opportunities. During Dr. Walhout’s tenure at Calvin College, he pursued an active research program in experimental and computational physics. He also taught courses in physics and astronomy, the philosophy of science, history of science, and in science and religion. He served for extended periods as both Chair of the Physics Department and Dean for Research and Scholarship at Calvin College. Previously, Dr. Walhout worked with Dr. William D. Phillips, who later went on to receive a Nobel Prize in Physics, at the National Institute of Standards and Technology. In 1996, Dr. Walhout decided to leave the government laboratory and to pursue work in academic research and teaching. At Calvin College he was a recipient of multiple grants funded by the National Science Foundation. As an interdisciplinary scholar, Dr. Walhout attributes much of his intellectual formation to works by leading figures such as John Polkinghorne and Peter Harrison, two of the most notable figures in science and religion. Dr. Walhout was raised in Grand Rapids, Michigan. He received a B.S. in physics from Calvin College, and a M.S. and Ph.D. in physics from the University of Maryland.